Interested in having a collection of The Coaching and Leadership Journal back issues? This lasting material is a terrific resource and will be a great addition to your professional library. You can now have a full year’s worth of our motivating leadership reports all in one place. The Leadership Publishing Team has complied all of 2013’s issues into a book. Whether you are a current subscriber, past subscriber or are completely new to the journal, this lasting material makes a great addition to your professional library. I love the journal Dan. Thanks for doing an amazing job with it and I learn something from it every time. 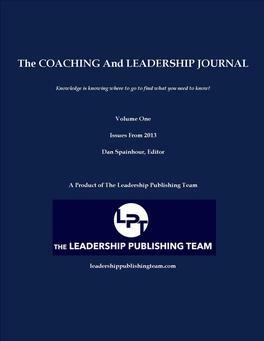 The Coaching & Leadership Journal serves coaches, athletic directors, administrators, and other leadership practitioners. Our journal publishes article summaries that pertain to both leadership theory and insights from athletic professionals as well as top leaders in all professions. Like a monthly debriefing, our journal allows you to get valuable information without having to waste time searching for it. You'll refer to it again and again. It is not just a journal but a valuable resource delivered to you each month. A March Madness contender from the ACC has a special significance to Dan Spainhour, and its team colors are nowhere close to Duke blue, but rather garnet and gold. Eighth-seeded Florida State, which faced No. 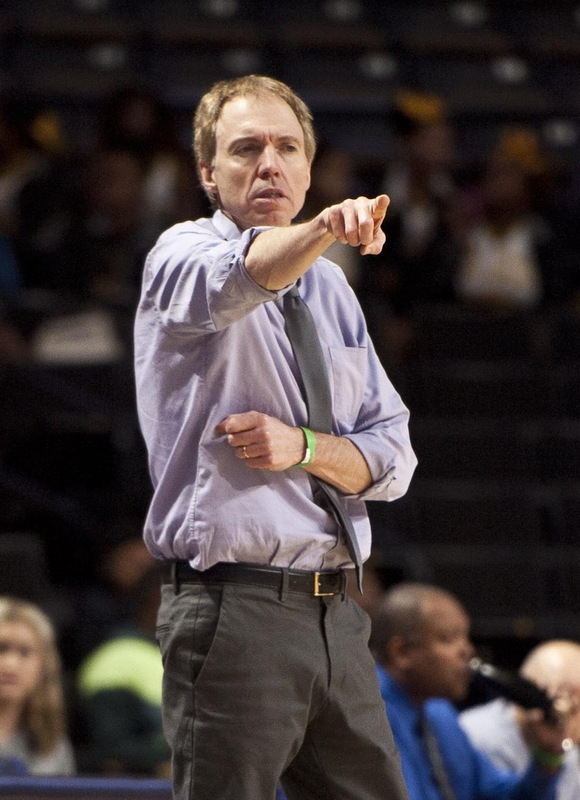 3 Michigan in the Elite Eight on Saturday, was the home of the 57-year-old West Stokes head basketball coach back in 2005. Spainhour was the director of basketball operations for roughly a year and a half under Coach Leonard Hamilton of Florida State, and has since utilized the experience to shape the Wildcats into a competitive high school program in the Northwest. Now in his 11th year as the head coach at West Stokes, Spainhour’s team was the first Class 2-A school in history to win the Frank Spencer Holiday Classic Champion Bracket in 2011 and then took the Pepsi Bracket in 2013. The Wildcats won 20 games this season and made a run to the third round of the NCHSAA playoffs — their deepest run in the past five years — with a young team that had just two seniors on the roster. Spainhour credits his past and present players “buying in” to their roles on the team to try and become something bigger than themselves — a team mentality rather than about any single player or coach. 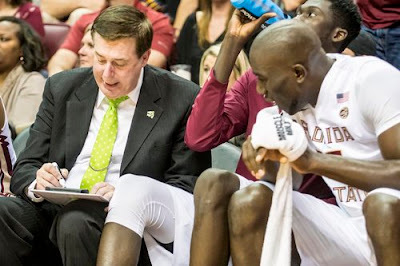 It’s an aspect of the game he perfected from sitting in on Hamilton’s practices at Florida State, even though his primary role within the Seminoles’ program was handling logistics, like scheduling team planes and meals. 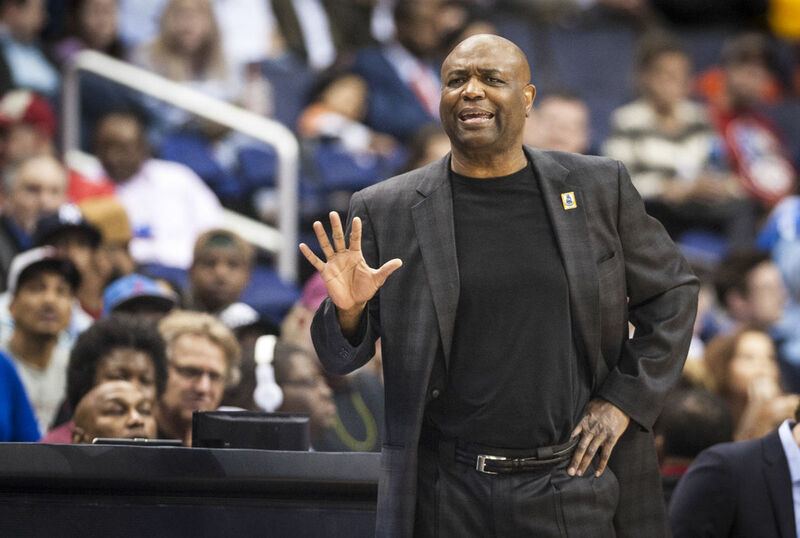 Another aspect of Spainhour’s role was managing the Leonard Hamilton Basketball Camp, which took place on Florida State’s campus in Tallahassee, Fla. There he coordinated two four-day training sessions in the summer for boys ages 8-18 who were interested in high-intensity practices with Seminole players and staff. The experience helped him to train his eye to spot basketball talent on the court. Although, Spainhour wasn’t the only one in this program learning lessons. But how did Spainhour land the job at Florida State? It all stems back to an encounter between the two coaches more than 20 years ago. Spainhour began his coaching career in 1982 at Bishop McGuinness as an assistant to head coach Jim Corrigan, now the special assistant for Duke women’s basketball. During the summers as the Villains’ eventual head coach from 1987-95, he attended Duke Basketball Camp in Durham, which was attended by high school coaches from across North Carolina and facilitated by the university’s athletics department. That’s where he befriended Tommy Amaker, the assistant to Duke head coach Mike Krzyzewski. In 1996 during a visit to the National Association of Basketball Coaches conference around the time of the Final Four, Amaker introduced Spainhour to Hamilton, the head coach at the University of Miami at the time. Hamilton later brought Spainhour on as a graduate assistant when he enrolled at Miami for a masters degree in sports administration. He graded game film, watched daily practices, and was even on staff when the Hurricanes — then in the Big East — made their first appearance in the NCAA Tournament in 1997 after a 36-year absence. Spainhour’s ability to break down plays made him stand out among coaches in high school athletics, according to assistant coach Stan Jones. Spainhour then left Hamilton’s staff from 1998-03 to serve the first basketball coach in West Stokes’ school history before rejoining Hamilton at Florida State. But West Stokes called again. Around the time of the housing crisis’ first waves in Florida in late 2006, Spainhour decided it was time to move back to King. But the nearly year-round coaching position hasn’t kept Spainhour from catching up on March Madness highlights and regular-season games. Although sometimes he might not be just an objective student of the game. “Of course I’m pulling for Florida State,” Spainhour said. Dan Spainhour is the founder and editor of our Coaching and Leadership Journal. The Journal's subscriber list includes coaches from every college sport as well as numerous athletic administrators on both the collegiate and high school level. 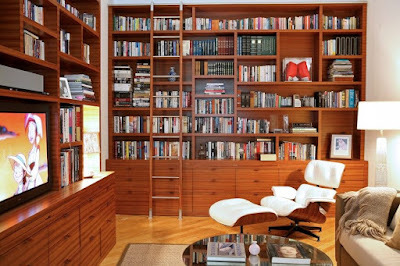 We would love to have you join our team of subscribers. 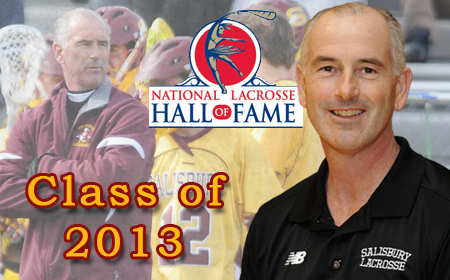 Head Coach Jim Berkman is the all-time winningest coach in NCAA men's lacrosse history. Berkman has compiled a 502-52 (.904) record at Salisbury University. Berkman was inducted into the National Lacrosse Hall of Fame on Oct. 26, 2013, in a ceremony at the Grand Lodge Hunt Valley, Md. We are proud and honored to have Coach Berkman and the Salisbury program on our team of subscribers! It is no coincidence that we have some of the winningest coaches in their respective sport. Great leaders know they can never stop learning and they never stop reading. They realize that for less than most people's monthly cable bill they can receive a year's worth of information that will make them better leaders, coaches and administrators.